Carol Fish Nielsen was born in Phoenix, Arizona on June 14, 1934 to Harold Reidhead Fish and Ellen Hatch Fish. She was the 7th of 8 children. She grew up and attended school in Phoenix. As a young adult she moved to California where she met James Delyle Nielsen. They were married in the Mesa Arizona Temple on September 22, 1961. The lived in California for many years before moving to Utah. 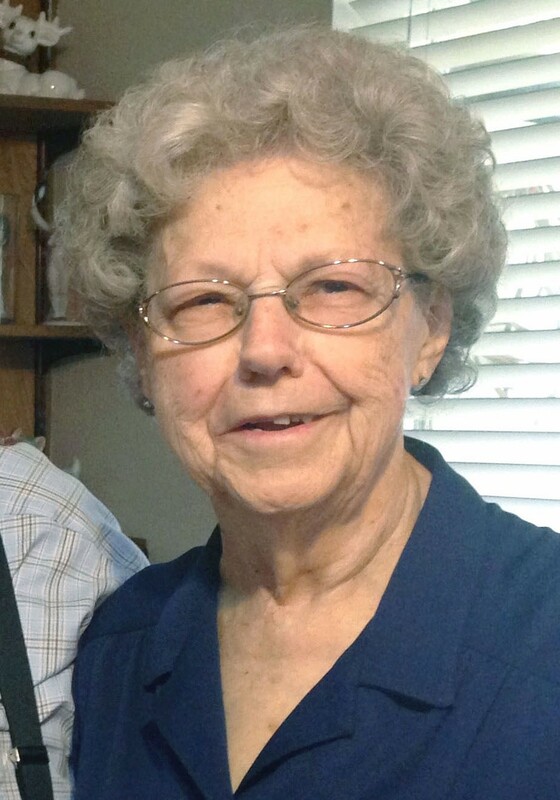 She has lived in Mesa, Arizona for the last 11 years with her sister, Erma Bodine. She had 8 children and was a foster mother to several mentally challenged children. She was an active member in The Church of Jesus Christ of Latter-day Saints. She is survived by her 8 children: Colleen Stucki, Cynthia (& Bruce) Bell, Jamie Nielsen, Steven (& Sharon Capp), Janette (& Patrick Sandra), David (& Cheryl Tilt) Nielsen, Debbie Bradford, Glen (& Nathalie Nielsen); 28 grandchildren and 5 great-grandchildren. She is also survived by her sisters Erma Bodine & Lorraine Perry and brothers Joseph A. Fish & L. Wayne Fish. Services will be held on Saturday, February 24, 2018, at the LDS Stewart Chapel at 613 N. Stewart in Mesa, Arizona. Viewing will be at 10 AM, followed by the service at 11 AM. My aunt will be missed and may she be at peace. May all your family and friends feel love and comfort. We will miss Aunt Carol’s joyful and beautiful presence. Our sincere sympathy to Carol’s family and friends. She was loved and will be missed.